2. Place carrots in baking tray and season with salt, pepper, garlic powder, and sage. Drizzle with olive oil and mix together with hands. 3. Bake carrots in preheated oven for 25 minutes. 4. Meanwhile, cut the pastry into 12 even rectangles. 5. Remove the carrots from the oven and allow to cool so they can be handled. 6. 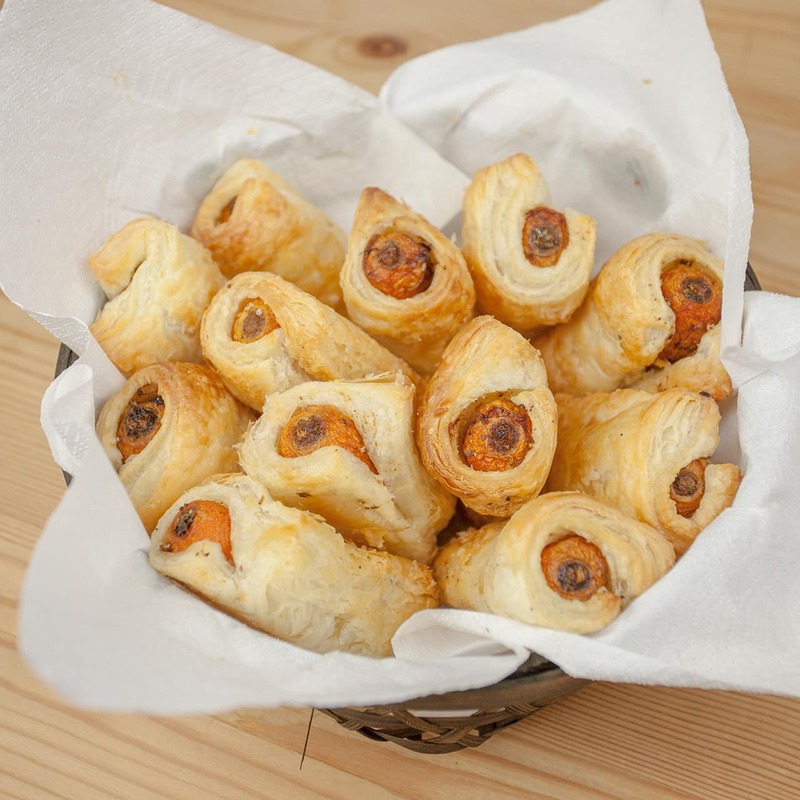 Once cool, wrap each carrot in one rectangle of pastry. 7. Brush each blanket with almond milk. 8. Bake again for 10 minutes. I thought puff pastry had butter in it?